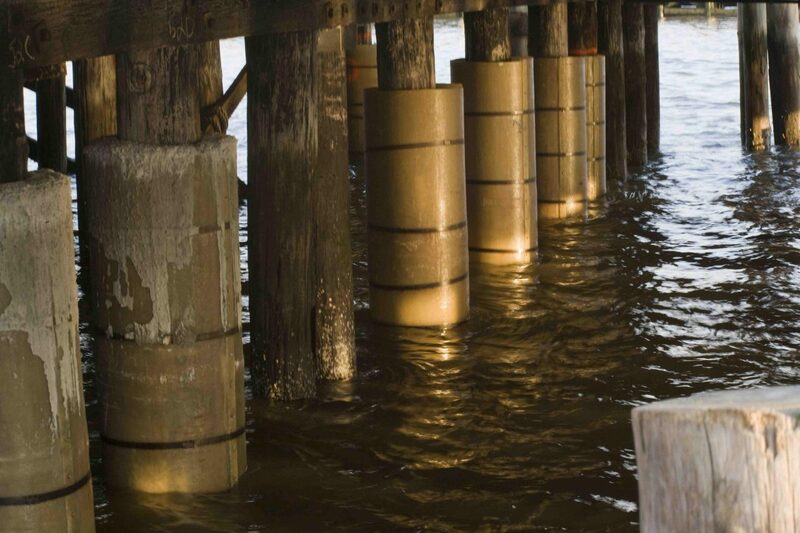 CTech-LLC® systems can be used to increase the structural performance of marine structures. The greatest problem with using steel in an offshore structure is the poor corrosion resistance against seawater and other highly corrosive agents, such as hydrogen chloride. It is estimated that the oil industry spends several billion dollars each year in maintaining, repairing and replacing corroded steel structures. Composites offer the potential to reduce these costs because of their outstanding corrosion resistance against most types of chemicals. It is estimated that composites provide a weight saving of 30 to 50%. Compared to steel for many nonstructural components The most common types of composites used are GFRP and phenolic composites, with the latter being used because of good fire resistance. Advanced composites containing carbon fiber, kelvar fibers, or epoxy resins are used sparingly because of their high cost. Ability to easily and inexpensively mould GFRP to the near net shape, even for marine structure with complex shape, such as boat hulls thus making it suitable for mass production. Light weight, resulting in reduced fuel consumption. Advanced fabrication processes, such as resin transfer, resin film intrusion, or auto craving are used in the construction of hull and decks toss produce composites that are defect free, excellent dimensional balance and high fiber content for maximum stiffness, strength and fatigue resistance.